The DG RPF in a letter to the Director General of Police and the Additional DGP (Railways), Maharashtra, on October 10 said there are areas in which the roles of the two forces overlap, resulting in confusion. 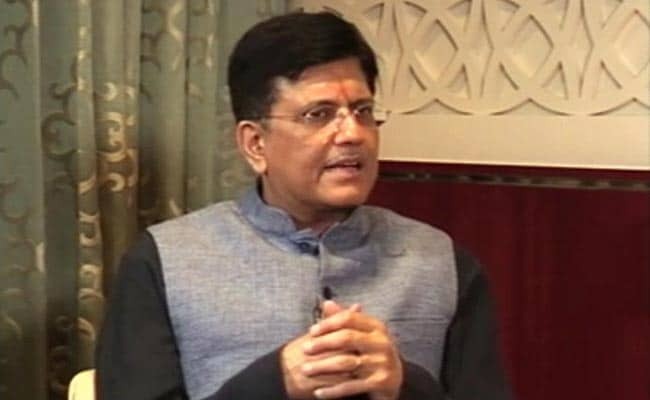 New Delhi: Railway Minister Piyush Goyal has stressed the need to clearly define the roles of the Government Railway Police (GRP) and the Railway Protection Force (RPF) to avoid confusion in their operations, Director General RPF Dharmendra Kumar has said. The suggestion has come in the wake of the September 29 Elphinstone bridge stampede in Mumbai that killed 23 people. Both the GRP and the RPF work to secure railway premises and trains. "While their legal powers are clearly defined, field formations of both organisations find their roles overlapping in many areas during their day-to-day working. This causes confusion among the rank and file of the forces," the Minister said. In the absence of a standard operating procedure, this confusion becomes more pronounced during a crisis. The recent stampede at Elphinstone Road Station in Mumbai is a prime example, Mr Kumar said in the letter, a copy of which is with PTI. "In the wake of the incident, a meeting was conducted by the minister of railways in Mumbai on September 30 during which the need for proper codification of duties of the GRP and the RPF was flagged," the letter read. Mr Kumar in his letter recommended setting up a committee under the Commissioner of Police (Railways), Mumbai, with the Additional Commissioner of Police as member and two representatives from the RPF. Its task, Mr Kumar said, would be to examine the roles and responsibilities of both forces and suggest ways for proper codification of their duties. "The committee can also suggest a shared standard operating procedure to be implemented by both agencies in case of exigencies such as bomb threat, large scale law and order disturbance, stampede, terror attack," Mr Kumar said. The RPF DG said the panel's recommendations would be implemented for the Mumbai suburban railways first and them replicated across the country, if found suitable.